There are several different ways to make the radio imaging on your radio station sound great, says Zane Derbyshire, East Coast Radio programming manager. Here, he provides suggestions on how to put your imaging ideas to use based on what East Coast Radio has done. 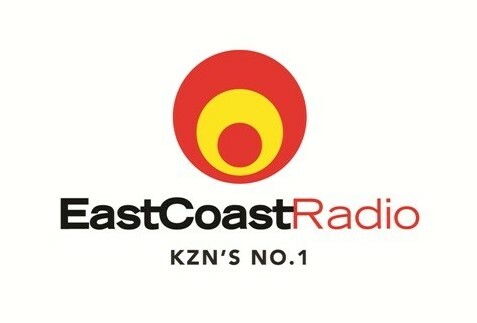 East Coast Radio (ECR) recently changed its imaging. After three years, it decided it was time to show its listeners, new and old, how it has grown as a brand and why it is KwaZulu-Natal’s (KZN) number one radio choice. It was a big task with changes to voice artists, information music beds, sweepers, stings, bumpers and jingles. For any radio station working on its imaging, the goal is to have the right elements in the right places, to deliver a product that is easy to listen to, yet distinctive enough to drive the brand message, and drive recall so that listeners make their mark for the radio station in the RAM diaries. The change is not obvious to non-radio people, but eventually, it becomes clear and you’ll find yourself singing new jingles or commenting on how the brand has changed, not really understanding what has gone into this process. This is called radio imaging and is a key component in positioning the radio brand. It is designed to appeal to a certain demographic of an audience that the station wishes to attract. Overall, it sets the mood, tone and energy of the station, while also building a brand familiarity and loyalty with the listeners. Take, for example, 'ECR plays hit music and creates memorable moments that evoke emotions, connecting families to KZN and the world' – that would be too functional and wordy on air, and it is something only staff would understand. However, with this focus, ECR distilled its tagline – 'KZN’s No.1 Hit Music Station'. On-air branding has just two main objectives: to encourage the existing listener to stay longer and return sooner, and to encourage them to talk about the station to non- listeners. Why 'KZN’s No.1 Hit Music Station'? Geographically, ECR's FM footprint covers the province of KZN and, as a regional station, it is designed for the people of the province and is a brand that belongs to the province. It was therefore vital for us to have 'KZN' in the tagline to demonstrate that. In terms of the 'No.1', this is an important element because, as a premium brand, the station is not the biggest, but it is the best, so the No.1 in the tagline is its commitment to always delivering the best in everything it does, from music and presenters to events and the way it delivers local news and information. 'Hit Music' tells you that ECR is first and foremost a music radio station. It also tells you about the type of music you will hear on the station: popular music that is, or was, on the charts. 'Station' signifies that ECR is a radio station, which is the essence of the station's brand, even though its offering stretches way beyond traditional FM. Through its digital, visual and social channels, it brings radio to life in a way that is relevant and inspiring to the people of KZN. It also has the most visited radio station website in South Africa (Effective Measure 2018). Once the station had its ducks in a row in terms of who it was and what it does, it looked at the voices on its production elements and music jingles. The existing package had been on air for three years and it was time to refresh the sound to deliver on the brand strategy. For the jingles, the station once again partnered with long-time collaborators, Wise Buddah, a jingle and production company from the United Kingdom. They had previously done two jingle packages for us, each time delivering spot-on brief and assisting the station in creating a consistent and distinct sound across the FM product. Because it is a local, lifestyle, family brand, it was important that the sound reflected this, but also that it was in line with global radio trends. The jingles are bright, melodic and current, but also have the signature ECR audio logo. ECR also updated its information services imaging, which includes news, traffic, sport and weather. Salen Thulukanam is ECR's Imaging Engineer who works across ECR and Jacaranda FM in the Kagiso Media radio stable. He recorded and directed the station voices and produced all the imaging. Thulukanam explains: "We looked at a host of different voices, including international artists, mostly with mid-Atlantic accents to a number of local voiceover artists. We finally appointed well-known South African voice Hanyani Mangwani and the hypnotic Durban sound of Belinda Henwood to deliver the premium sound needed for our radio imaging." The new ECR imaging fits the variety of music played on the station while maintaining the slick, impactful and rhythmic sound the station has always aimed for and, most importantly, creates a clear ECR identity. Remember, great products can be ruined by poor packaging, so be innovative but true to your brand with your imaging. For more information, visit www.ecr.co.za. You can also follow ECR on Facebook or on Twitter.